The Chartered ABS Annual Conference 2017 was the largest to date, and with over 250 delegates it was a fitting way to mark the 25th anniversary of the Association. With Keynote Addresses from distinguished speakers including President of Universities UK, Professor Janet Beer, Rt Hon. Lord David Willetts and Ann Pickering, HR Director for O2 (Telefónica UK). Deans and directors from across the business school community explored emerging issues around Brexit, REF 2021, and new opportunities such as degree level apprenticeships. Chair of the Chartered ABS, Professor Simon Collinson, opened the conference by highlighting the success of the Association and setting out the potential effects of Brexit on UK business schools. 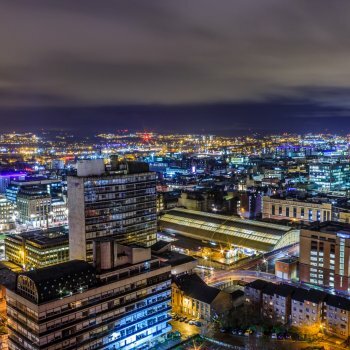 He launched the results of the Annual Membership Survey, which revealed that 40% of UK business schools had seen a decline in applications in undergraduate business and management courses from prospective EU students. Meanwhile, 40% of business schools have secured international research partners outside the EU since the referendum. The survey received press coverage from the Financial Times and Times Higher Education. Professor Collinson estimated that business schools contribute £13bn in total value to the UK economy per year, and highlighted a shared agenda to lobby for freedom of movement for international students and the need for more research funding. 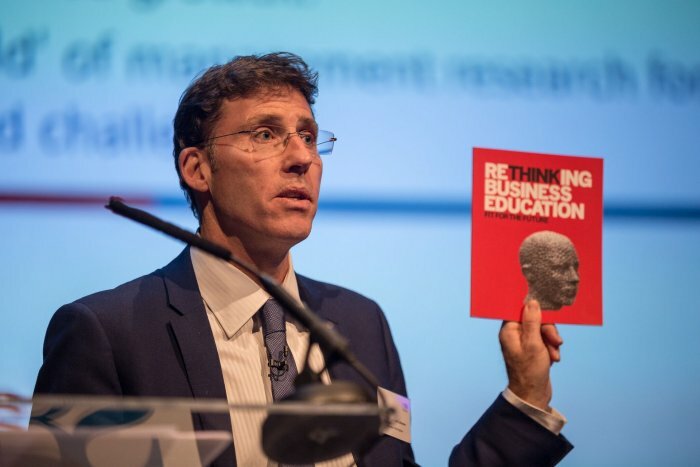 To celebrate our 25th year, a publication, Rethinking Business Education: Fit for the Future was also launched. 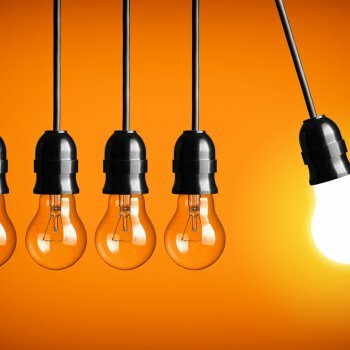 This collection of thought-provoking articles sheds light on how business schools can remain relevant and adapt in a rapidly changing economic and social environment. Keynote speaker Ann Pickering, HR Director for O2 (Telefónica UK), opened by stating that “we are preparing students for jobs that do not yet exist, to use technology that hasn’t been created yet”. Her insights into graduate recruitment revealed key characteristics that companies look for in graduates, during the recruitment process: “I need people who can thrive in an environment of change, ambiguity and uncertainty, that have analytical rigour and influence”. Mark Dorman, President of MHE International & Professional at McGraw-Hill Education, extended the conversation by highlighting the role artificial intelligence plays in preparing graduates for the workforce. He argued that “by incorporating academic content into artificial intelligence the relationship between traditional written content and learning technology is complementary and not competitive”. 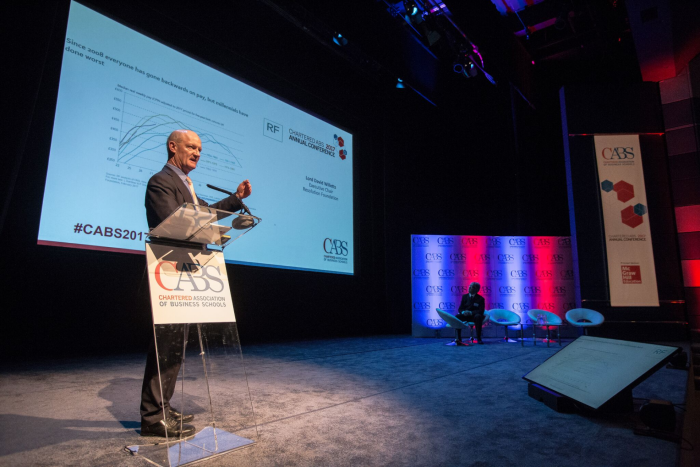 On day two, Lord David Willetts highlighted the challenges older generations face in comparison to millennials and how universities can help alleviate this. 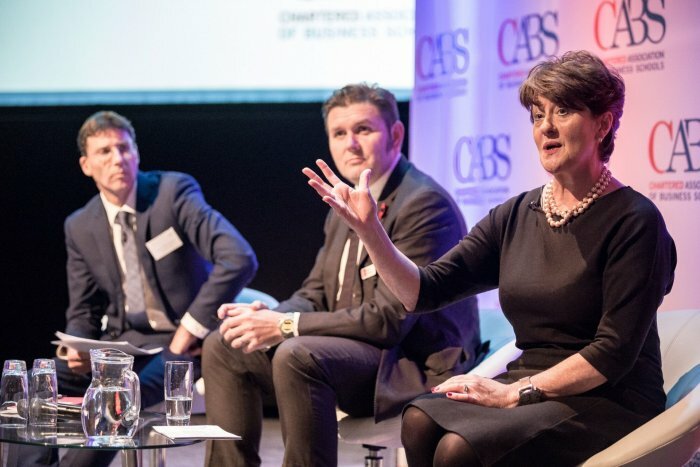 He also stated “business schools have an opportunity to fill in the qualifications gap amongst a generation of managers who didn't have wider access to HE at a time where it wasn’t as widely accessible”. On cuts to student fees, he argued that they would only lead to cuts in resources which is not in the interests of students. Lord Willetts also observed that “business schools are victims of the perverse effects of the REF” as it does not measure innovation or productivity. 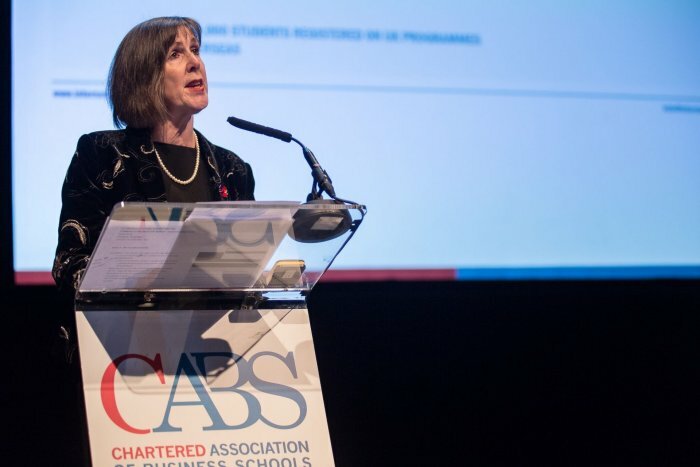 Professor Janet Beer’s keynote address demonstrated the clear evidence of the value of UK higher education to Europe. She warned “Brexit has the potential to harm our universities” and said a lack of a plan for the UK’s exit from the EU means “there is still too much uncertainty for universities to do scenario planning”. In a panel debate with Professor Andrew Burke, Dean of Trinity Business School, and Professor Alan Manning, Chair of the Migration Advisory committee, Professor Beer pointed out “50% of Irish and French research involves UK academics”, and argued that it was “in the interests of all for these relationships to continue after Brexit”. The conference kicked off with four pre-conference working group sessions. These provided in depth discussions on degree level apprenticeships; a look at how digital technologies support business engagement; and best practice in international alumni engagement. A Deans’ meeting also took place, providing attendees with an environment for frank and open discussion and the opportunity to explore the findings of the report ‘Pathways to Success: Strategic groups of UK business schools’. A variety of break-out sessions were available for delegates to attend, throughout the conference. 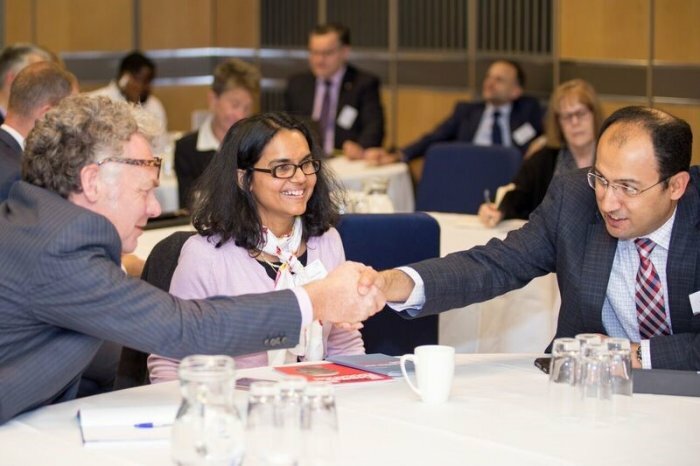 In a session on ‘Looking ahead to REF 2021’, chaired by Professor Andy Lockett, Dean, Warwick Business School, delegates were encouraged to identify work that fits into the interdisciplinary category. David Sweeney, Executive Chair Designate for Research England, stated that the average number of research outputs per academic was 2-3. Professor Naufel Vilcassim, Head of Department, London School of Economics, added that the grade point average needs to consider the different levels of outputs from institutions. Many thanks to all those who contributed to, and attended, the Chartered ABS Annual Conference. Please feel free to contribute further to the discussion on twitter using our hashtag #CABS2017. We look forward to seeing you at next year’s conference in London, in November 2018. Register your interest for 2018 by emailing us here.